When you are out exploring and pillaging in untamed lands, you never know when you might need a knife. 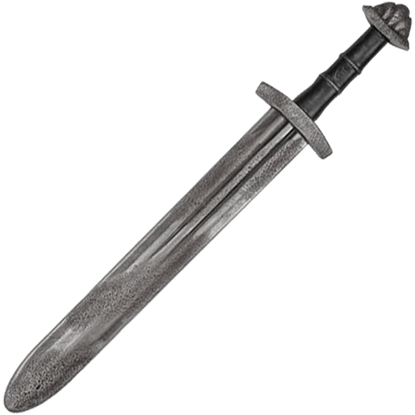 Prepare yourself for any situation with the Alric LARP Adventurer Dagger, the perfect secondary weapon for any Viking character. 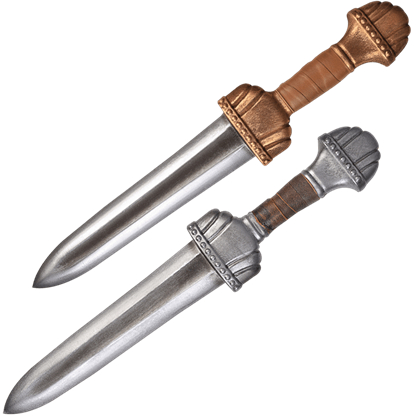 If your character hails from the historic days of Rome, then the Ancient Pugio LARP Dagger is a must-have addition to your ensemble. 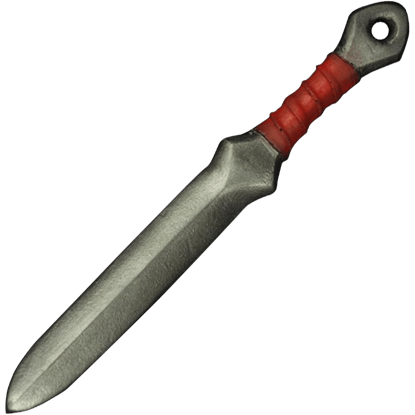 This authentic-looking LARP weapon is inspired by the daggers used by soldiers and officials alike. 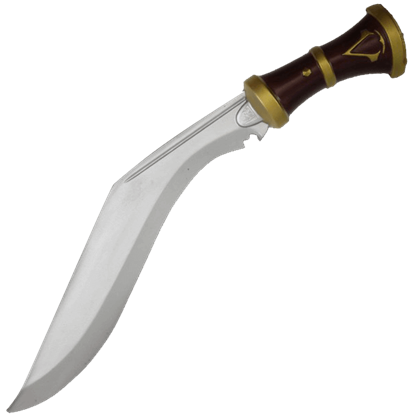 During your next roleplay adventure, dive deep into the dark underbelly of Victorian London with the Assassins Creed Syndicate Foam Kukri. Unleash your fighting skills as either Jacob or Evie Frye from the action-packed video game. 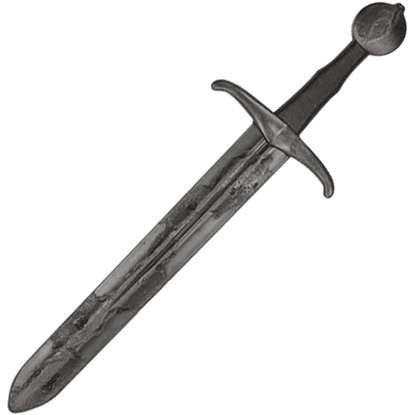 The Battle-Worn Keltis LARP Dagger could belong to a noble knight or a Celtic priestess, its style suitable for a great variety of medieval and fantasy roles. This latex-free LARP weapon has a hand detailed, battle-weathered look. 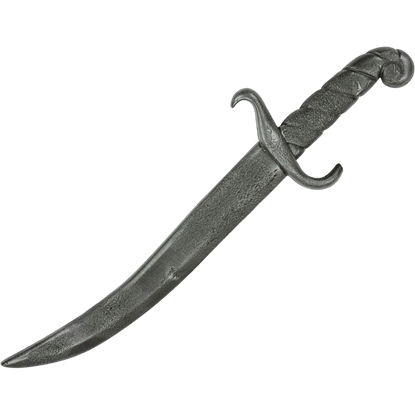 For nimble fighters and assassins who deal in swift, devastating strikes, the Battle-Worn Persian LARP Dagger is perfect. 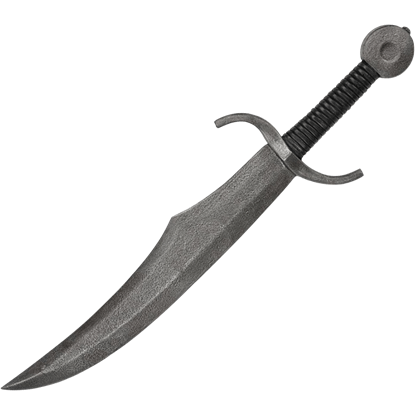 This long LARP dagger has the look of a trusted, well-weathered weapon made safe through its foam construction. 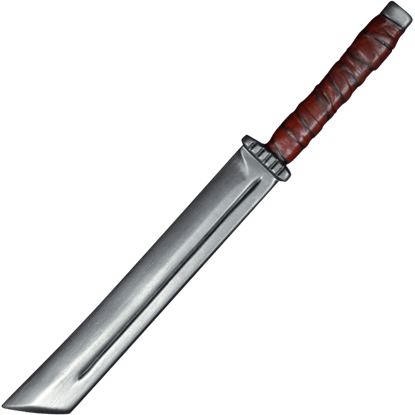 Whether used to attack with vengeance or defend its wielder in battle, the Battle-Worn Sanguis II LARP Dirk is a very versatile addition to any LARP arsenal, with its length falling between that of a dagger and a short sword. 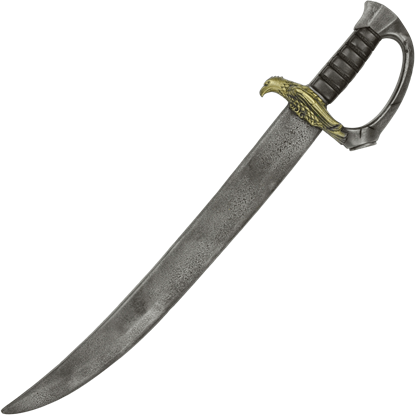 Detailed by hand for a unique, weathered look, the Battle-Worn Shahin LARP Dagger resembles a mysterious, ancient weapon or a trusted companion used for battle after battle. This long LARP dagger is made of ultra-durable Calimacil foam. 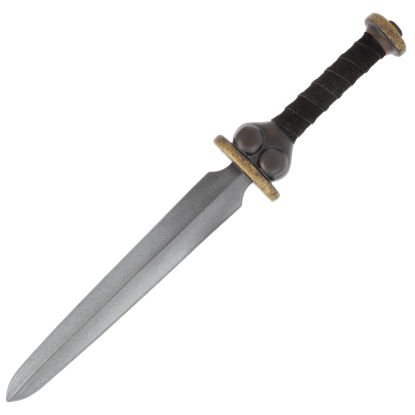 Long for a dagger but short for a sword, the Battle-Worn Viking II LARP Dirk has a versatile in-between length that makes it great for all kinds of LARP combat. This Norse-inspired LARP dirk is made of ultra-durable, latex-free foam. Received at the coming of age, this Beowulf II LARP Scramasax will go to war with its wielder to seek plunder and glory. 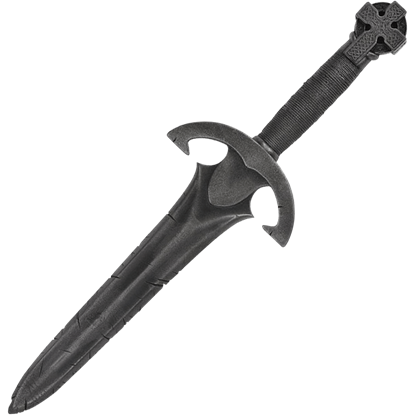 This Viking LARP sword serves well for close combat battle with its short, maneuverable design. Every adventurer needs a good knife. 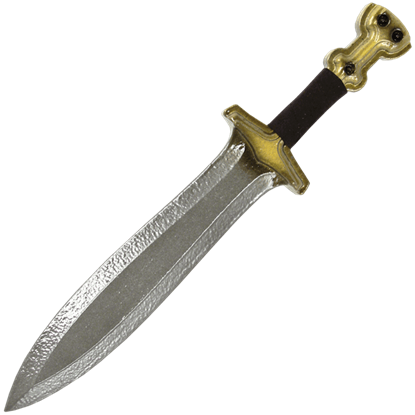 The Caesar LARP Dagger is a versatile foam blade for any LARP arsenal. This latex-free LARP weapon is perfect for carrying as a boot knife, storing in your pouch, or even hanging from your belt.